Getting hearing aids for the first time is a new experience. If you've never worn them before, there will be a period of adjustment while you learn your devices. While hearing aids won’t restore your hearing, they will significantly improve your listening experience. It can take you a while to get used to them but there are some things that you can do to help yourself adjust and feel more comfortable. 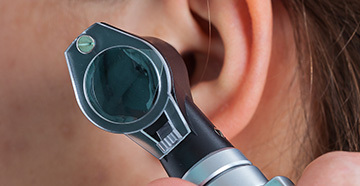 When you first get your hearing aids, you might not want to wear them all day immediately. Many hearing care providers will recommend wearing them for only a few hours a day to start with, and then giving yourself a rest. It can be a bit overwhelming if you start wearing them all the time from the start. You can gradually build up how long you wear them to help you and your brain get used to them. 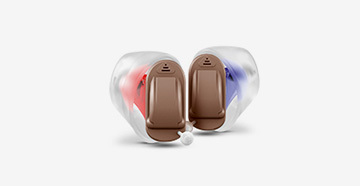 It can also help to wear your hearing aids in quieter spaces first, before wearing them in noisier environments. This will help you get used to having some of your hearing back, and give you time to adjust to quieter sounds before moving on to anything else. Everything can seem a bit loud at first, but try to avoid playing with the volume too much. Give yourself time to adjust and settle into hearing sounds that you might have been missing for a while. People talking can be one of the most difficult things to hear, even when you're wearing your hearing aids. Your hearing aids should improve things a lot, but it's a good idea to practice listening to people. You can try talking to people one-on-one, as well as try to follow group conversations. Practice having conversations in different environments too so that you can get used to background noise and any automatic settings changes that occur in different environments too. When you're trying to adjust to hearing speech, it can be helpful to have both written words and sounds to follow. When you're watching TV, movies or videos online, making use of subtitles or closed captions can help. It's a good way to help your brain connect sounds and language. You could also read aloud to yourself or perhaps listen to an audiobook while also having the book in front of you to read. There are various listening exercises that you can try to help your brand adjust to your hearing aids. Some hearing aids manufacturers even have apps that you can use, which give you games and exercises to play on your phone or other devices. But you can simply close your eyes and try to pick out and identify different sounds. Give yourself some time to get used to your hearing aids when you first get them to make sure they're helping you in the way you want them to.